From the erosion of land art to the rise of fake art in the US, stay in the loop with what RealTime editors are reading about this week. ‘Perpetual Revolution’ Shows Artists Shaping Their Time, New York Times. “‘Perpetual Revolution: The Image and Social Change,’ looks different from shows past because digital media — smartphone videos, Twitter outtakes, Instagram feeds — outnumber photographic prints. Lauren wonders what the rise of fake art means for Australian artists in the Trump era. 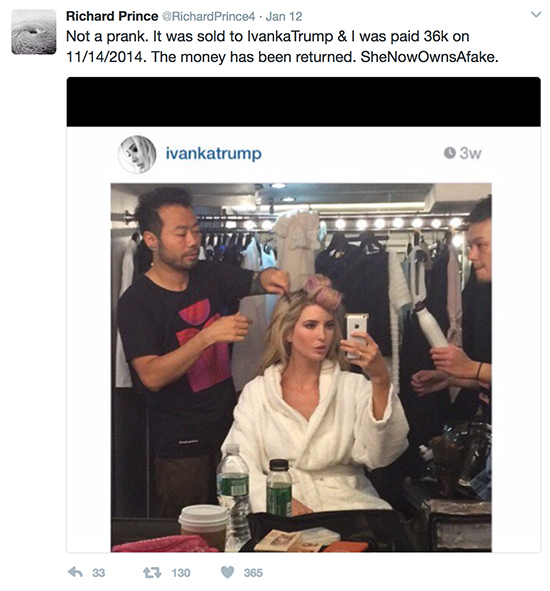 Richard Prince Just Showed Artists a Way to Fight Trump. And May Have Cracked Open a New Contemporary Art Code Too? Vulture. Did anyone see this coming? We ponder the end of 20th century land art as we know it when climate change ‘desiccates’ Spiral Jetty. As the Great Salt Lake Dries Up, “Spiral Jetty” May Be Marooned, Hyperallergic.